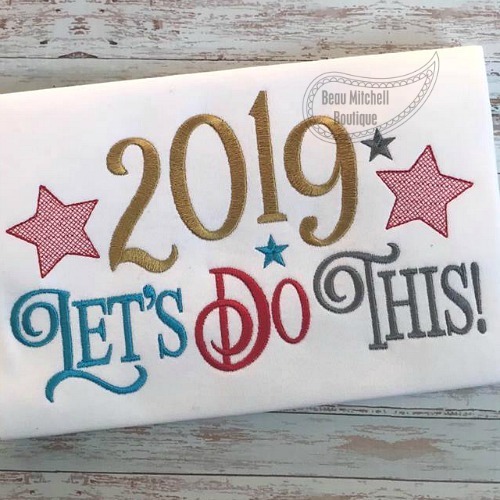 2019 Let's Do This - 5 Sizes! Stitch on shirts, banners and more. Happy New Year Snowman Applique - 3 Sizes! Happy New Year Swirl - 4 Sizes! Let's Do This - 4 Sizes! Finish Size 6.89" x 4.25"
Finish Size 8.69" x 5.37"
Finish Size 7.50" x 4.63"
Finish Size 11.58" x 7.50"